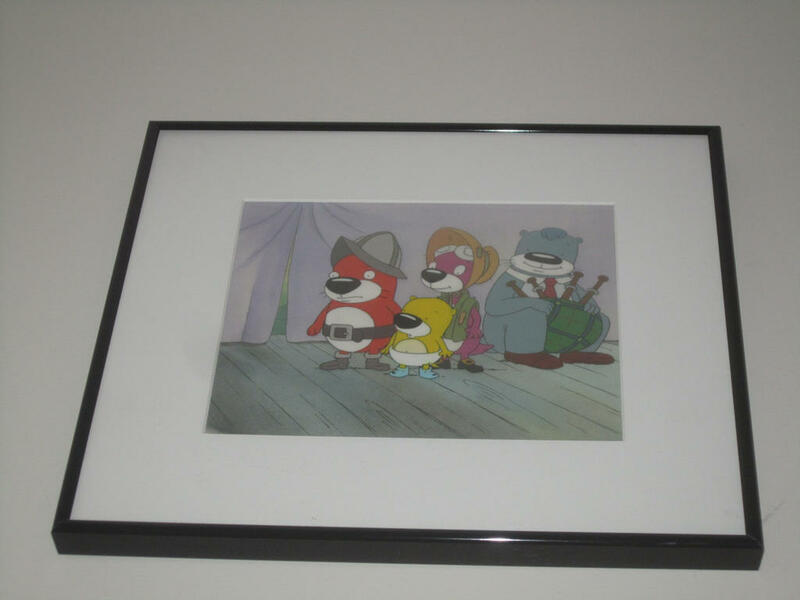 My PB&J Otter animation cel from "Howdy HooHaw Day"
Got this in December 2011. Don't believe there are many PB&J cels out there, at least publicly. Re: My PB&J Otter animation cel from "Howdy HooHaw Day"
Yeah. I found one on ebay. I WANT IT SO BAD!!!!!!!!!!!!!! You mean the 33mm positive from Follow Your Nose? I don't think that's an animation cel. Looks more like a print/reproduction of some sort to me, but I could be wrong. It's hard to tell with the limited information that the seller provided. I wonder if there are still more of these out there. I don't think they're really common. I just might look in case there's one. ChrisROCKSC23 wrote: I wonder if there are still more of these out there. I don't think they're really common. I just might look in case there's one. Good luck finding one. This is the only instance of one that I've ever seen. I think that's the camera doing the effect instead. or quite frankly, just how the animators colored that scene in with butter being a dark yellow dandelion color. I also saw a photo from the show of Jelly being PURPLE instead of her magenta or dark pink color. ChrisROCKSC23 wrote: I think that's the camera doing the effect instead. or quite frankly, just how the animators colored that scene in with butter being a dark yellow dandelion color. I also saw a photo from the show of Jelly being PURPLE instead of her magenta or dark pink color. Was the episode "Poor Bubbles"? The cel is real and Butter being yellow is not an effect of the camera. I'm not sure why she's yellow here but the person who sold it to me confirmed that it was a legitimate cel sold at an auction in 1999 to commemorate the opening of a mall.